This literally gives me chills. 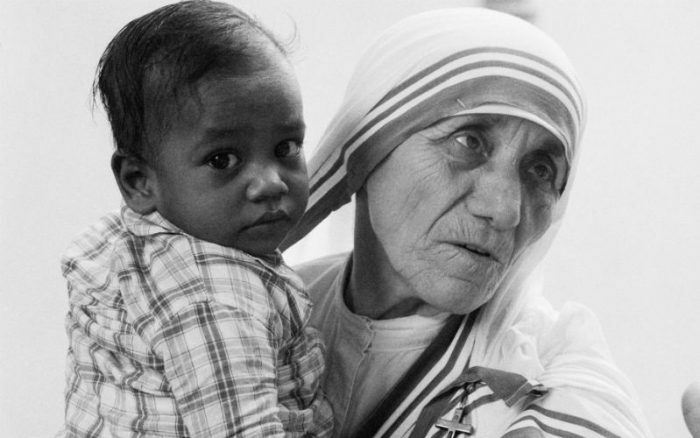 Have you read or listened to Mother Teresa’s Nobel Peace Prize acceptance speech? If you haven’t, you definitely should! St. Mother Teresa was awarded the Nobel Peace Prize on December 10, 1979 at the University of Oslo in Norway. Towards the middle of her speech (9:10), St. Mother Teresa’s words about unborn children are extremely moving and not at all watered down. “…The greatest destroyer of peace today is the cry of the innocent unborn child. For if a mother can murder her own child in her womb, what is left for you and for me to kill each other? “In the scripture it is written: Even if mother could forget her child – I will not forget you – I have carved you in the palm of my hand. Even if mother could forget, but today millions of unborn children are being killed. And we say nothing. In the newspapers you read numbers of this one and that one being killed, this being destroyed, but nobody speaks of the millions of little ones who have been conceived to the same life as you and I, to the life of God, and we say nothing, we allow it. To me the nations who have legalized abortion, they are the poorest nations. They are afraid of the little one, they are afraid of the unborn child, and the child must die because they don’t want to feed one more child, to educate one more child, the child must die. And here I ask you, in the name of these little ones, for it was that unborn child that recognized the presence of Jesus when Mary came to visit Elizabeth, her cousin. As we read in the gospel, the moment Mary came into the house, the little one in the womb of his mother, lift with joy, recognized the Prince of Peace. Wow! What do you think of her speech?